Nicholas Sandmann was the MAGA hat wearing, Covington Catholic High School student shown smirking at a Native American activist in a photo from January 18th that went viral and had him labeled a racist. He has filed a $275 million lawsuit against CNN over its coverage of the incident. The federal lawsuit was filed in the Eastern District of Kentucky and is seeking $75 million in compensatory and $200 million in punitive damages. Native American activist Nathan Phillips claimed he had been surrounded and abuse by the group of teens on a school trip. Video of the incident told a different story, however. The teens were being abused with homophobic and racist slurs by a group of Black Hebrew Israelites. Phillips walked into the middle of the school group with his drum. In the complaint, Sandmann's attorneys allege that he was blinded by political bias, and vilified the teenager in a mission to paint President Donald Trump and his supporters in a negative light. The filing also claims that CNN failed to do its basic journalistic duty by promoting falsehoods about Sandmann. "CNN brought down the full force of its corporate power, influence, and wealth on Nicholas by falsely attacking, vilifying, and bullying him despite the fact that he was a minor child. 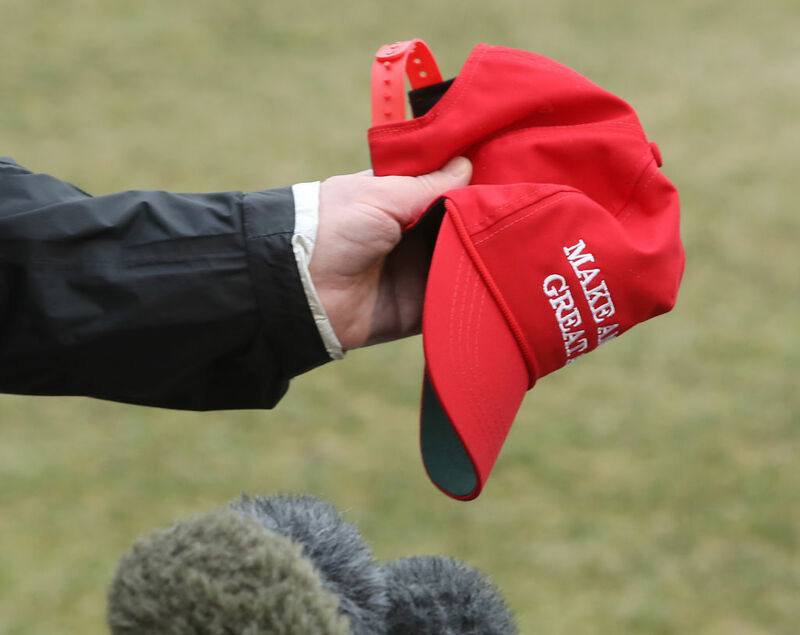 CNN ignored the facts and put its anti-Trump agenda first in waging a 7-day media campaign of false, vicious attacks against Nicholas, a young boy who was guilty of little more than wearing a souvenir Make America Great Again cap while on a high school field trip." "instigating a threatening confrontation with several African American men ('the Black Hebrew Israelites') and subsequently instigating a threatening confrontation with Native Americans who were in the midst of prayer following the Indigenous Peoples March at the National Mall. In fact, it was Nicholas and his CovCath classmates who were bullied, attacked, and confronted with racist and homophobic slurs and threats of violence by the Black Hebrew Israelites, a recognized hate group, before being unexpectedly confronted by Phillip, an activist, who proceeded to target Nicholas while chanting and beating a drum inches from his face and being flanked by activists companions filming the event." This is the second lawsuit Sandmann has filed in relation to the events of January 18th. He previously filed a lawsuit seeking $50 million in compensatory damages and $200 million in punitive damage against the Washington Post. One of Sandmann's lawyers has also suggested that the lawsuits may not end with WaPo and CNN. Todd McMurtry told Fox News that he and his client are looking closely at NBC, the Associated Press, HBO for Bill Maher's coverage of the incident, and individuals such as Kathy Griffin, who disparaged Sandmann on Twitter.